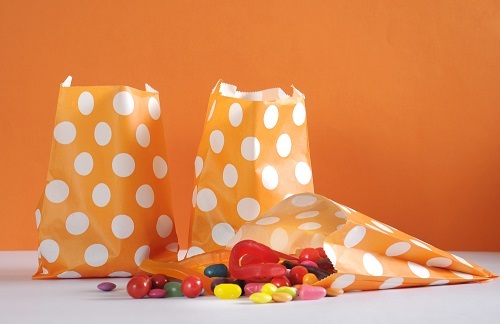 Modern bags include far more than just lollies and if you get the combination of goodies right, you’ll have happy parents and happy party people! Bubbles are great for all ages and will provide kids with more entertainment once they arrive home. Jumbo chalk is great for children to decorate their driveway or even their trampoline! It washes off easily and is great for children to create art in different spaces. You can make your own play dough or buy it cheaply. Pop some in a zip lock bag with some mini moulds that match the theme of your party. They’re sure to be a hit. Why not add a wholesome activity your child’s guests can do at home? Not only will they love planting seeds, it will also grow to remind them of your child’s party. Colouring sheets with some crayons can be included in goodie bags according to the theme of the party. Children will love to go home and colour in rockets after a space party, or princesses after a Disney party! You’ll be surprised how much play kids can still get from the toys you used to play when you were young. Matchbox cars, skipping ropes, yo-yos, spinning tops and marbles can all be an option depending on the children’s ages. If your birthday party theme is Under the Sea, you might consider including craft sticks and materials needed to make a small boat. If you’re running a princess party, perhaps you could fill goodie bags with sequins and a template for kings and queens to make their own crown. It only takes a few pieces of Lego to build something excellent. Pop them in a zip lock bag with a photo printed of what the finished product looks like. Balloons are always popular for goodie bags. Make them a little bit more exciting by ordering them with a personal message on them or add some confetti or glitter in the balloons for some added excitement. Stickers are always popular so why not pop them in your goodie bags. Team them up with a special sticker page or go all out and include stickers that are themed, scented glittery or all three. Do you want your child’s next birthday party to be just as fun as the goodie bags? Talk to The Rock @ The Play Cave today for the best indoor play centre in Sydney. We provide a variety of foods, themed or non-themed, that will delight your child’s taste buds. We also provide platters for the adults at the party!